Combining a visit to the Bradford Literature Festival with a relaxing break is the perfect way to experience all that Bradford has to offer. Whether you want to escape to Brontë Country, experience the World Heritage Site of Saltaire, or stay in the centre of Bradford to enjoy the city’s rich heritage, you’ll be spoilt for choice for somewhere to stay in and around Bradford. The Midland Hotel is Bradford’s leading hotel and proud to be our hotel partner. 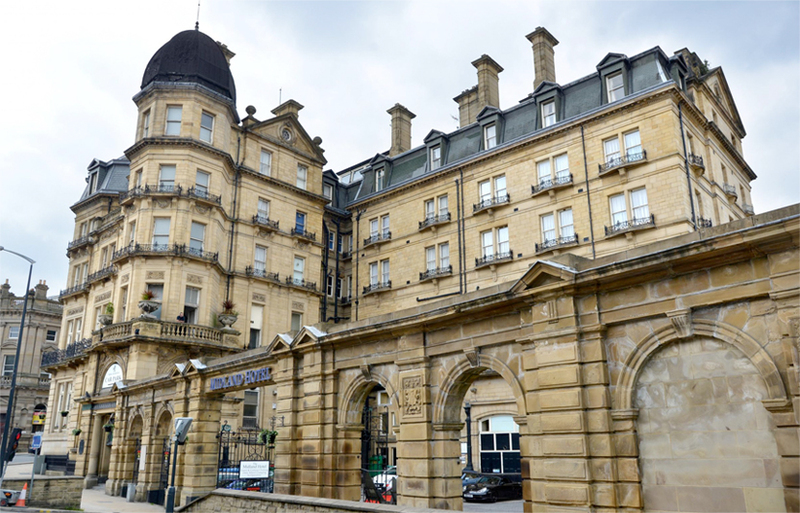 Dating back to the 1890s, the historic hotel was built by the Midland Railway Company at the height of Bradford’s global influence, and became the natural choice for rich and famous visitors. The hotel’s imposing façade and stunning Victorian interiors have attracted guests such as The Rolling Stones, The Beatles and Laurel & Hardy. The Midland Hotel offers special rates for festival-goers if booking accommodation for nights between 30th June – 9th July. Please mention the festival when making a booking. There are a range of accommodation options in Bradford to suit all different tastes and price ranges. For a full list of hotels and B&Bs please take a look at the Visit Bradford accommodation pages.